4 Bedrooms, 3 Bathrooms, Occupancy 9, Ski In and Ski Out Access This Mountain Modern cabin is exactly what you are dreaming of for the perfect Montana vacation. Designer finishes and decor throughout. This cabin has the WOW factor you are looking for...Two master bedrooms with private baths make this cabin perfect for 2 families. Plenty of space for the kids to play outside after a day of activities. 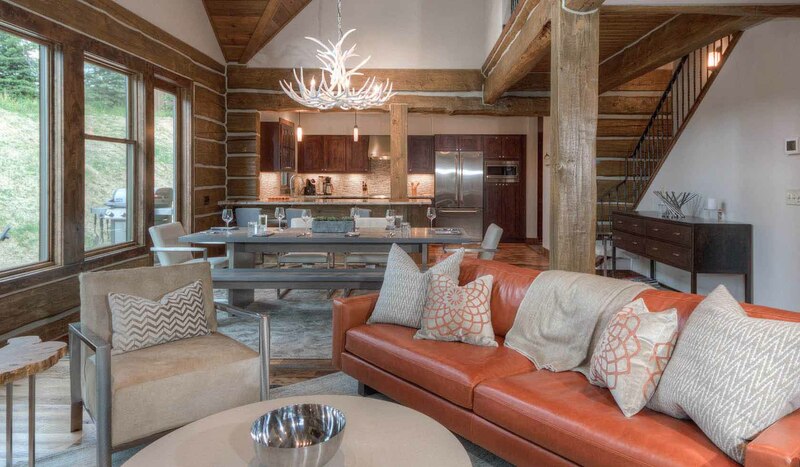 This cabin is in newest phase of the beautiful Powder Ridge Development at Big Sky Resort. Great ski-in/out location, close to the base area. Only 1 hour from the west entrance of Yellowstone National Park.